I spent much of a wet, chilly Saturday afternoon cleaning up my Facebook saves...again. I moved, literally, hundreds of recipes onto Pinterest, grew frustrated that so many recipes don't have links to other sites so that I could do that, found dozens of "saves" I have no idea where to store, and realized that I, once again, had a whole lot of bookish things to read and share. Maybe if I spent less time on Facebook, this would stop happening! From Esquire magazine comes this list of the 40 Best Books of 2017 (So Far). This is where I both pat my back for the books I have already read AND wonder where the hell I've been when I find I haven't even heard of some of the books. Signature also has a list of The Best Books of 2017. Again, I've read a couple of these, haven't heard of some; the biggest shocker on this list is Dan Brown's latest, Origin. Dan Brown on a list with Ron Chernow, Henning Mankell, and Amy Tan? Hmmmm. 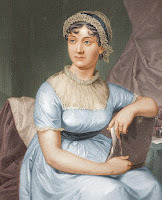 Also from Signature comes 10 Lessons Every 21st-Century Woman Can Learn From Jane Austen. It makes my heart happy to see that my beloved Jane Austen is still so relevant, all these years after her death! Speaking of Austen, from The New York Times comes this article that posits that Austen's word choices explain why she endures. The article cites a number of studies and quotes Virginia Wolff as saying "Of all great writers, she is the most difficult to catch in the act of greatness." And yet, her work stands the test of time. Some other female authors we should be mindful of are highlighted in this list of 12 Revolutionary Novels By Women That Will Motivate You To Keep Resisting from Bustle. It's not too surprising to find Margaret Atwood and Octavia Butler on the list, but you might be surprised to also find J. K. Rowling. Of course, the Harry Potter books are largely about resistance. And yet more women authors to pay attention to are found on PBS's list of 5 Books By Women Of Color You Need To Read Right Now. Haven't read a one of them but they are all, now at least, on my tbr list. Bookbub Blog has put together a list of 10 Unforgettable Historical Books Based On True Stories. I love reading books that are based on true stories, especially historical ones. I've read a couple of these and will be looking for several others. Speaking of books I haven't read, here's the list of the National Book Award finalists for 2017. I've got a couple of these lined up to read but had only even read one of the books on the long list. Have you read any of these? Your thoughts? Finally, Penguin Random House has put together a list of The Best Books About Books. I've actually read more than half of these. Apparently I have a thing for books about books? Are there any other books about books that you would recommend? Well my morning is planned! I cannot resist book lists and I have a feeling my TBR numbers are going to increase substantially! 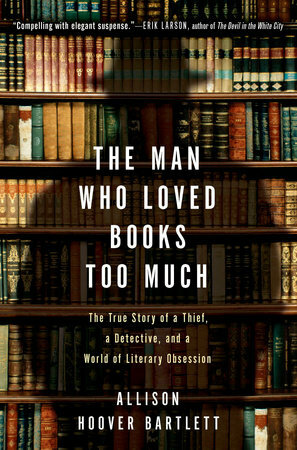 Have you read The Man Who Loved Books Too Much? It was one of my favorite reads several years ago. I could practically have written this post myself. I have a looooong list of FB saves waiting for me to do....something. And a good number of them are bookish things. 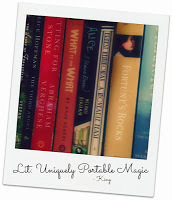 I believe I will blatantly steal your idea and make them all into one glorious book post. Now I'm just curious how many of my saves are the same as yours.